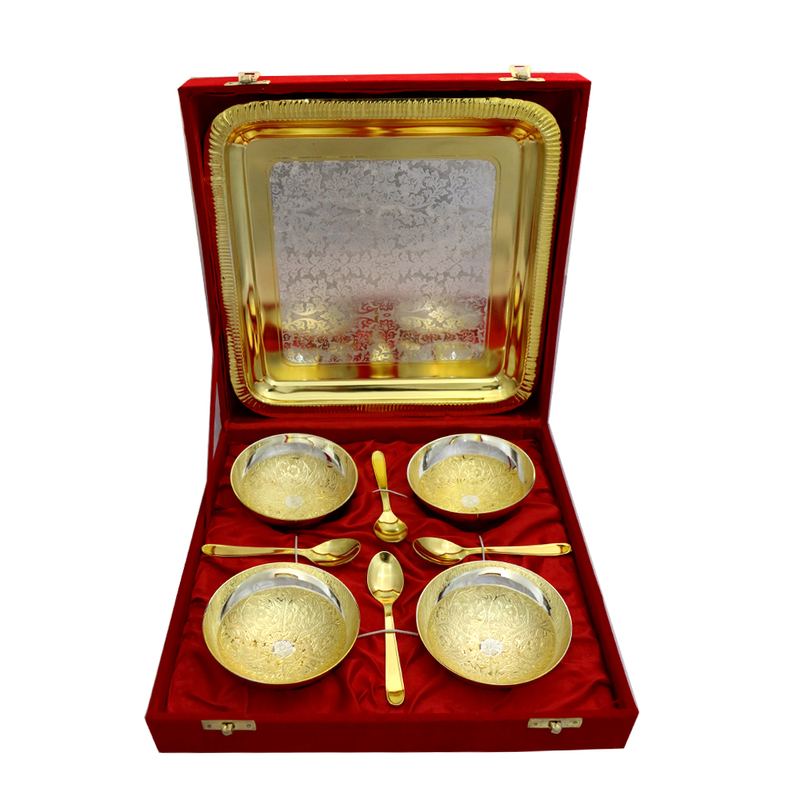 The Set of 4 Two Tone Round Bowls & Spoons with Tray in German Silver will surely dazzle all the beholders with the dual tones Read More..present in the bowls in different colored style. 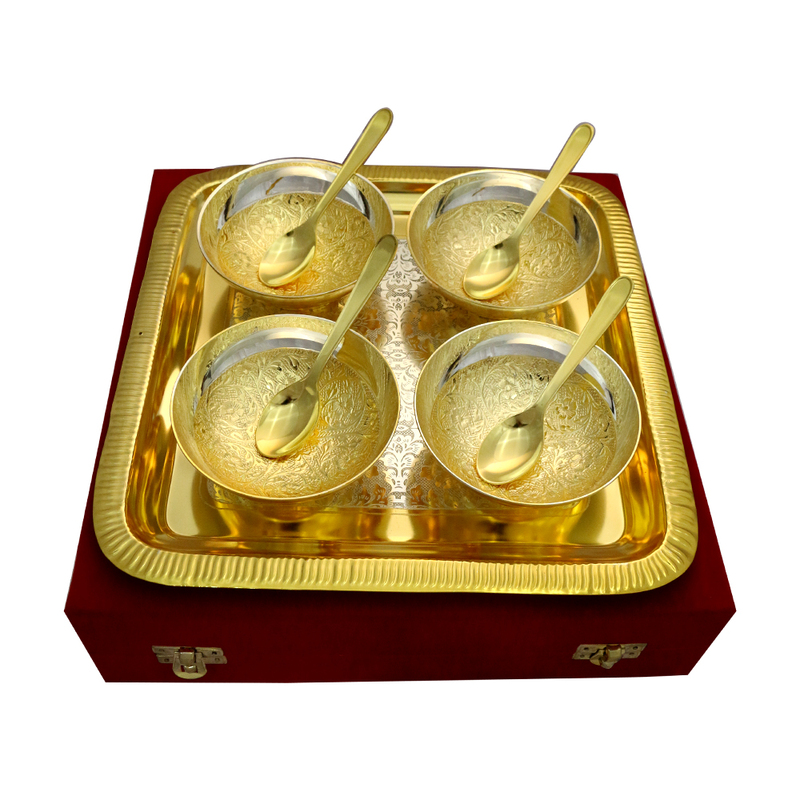 The intricate design work present in the bowls adds to its appeal, while the golden hued tray, and the 4 spoons complements this set in terms of convenience and usability for the buyers. 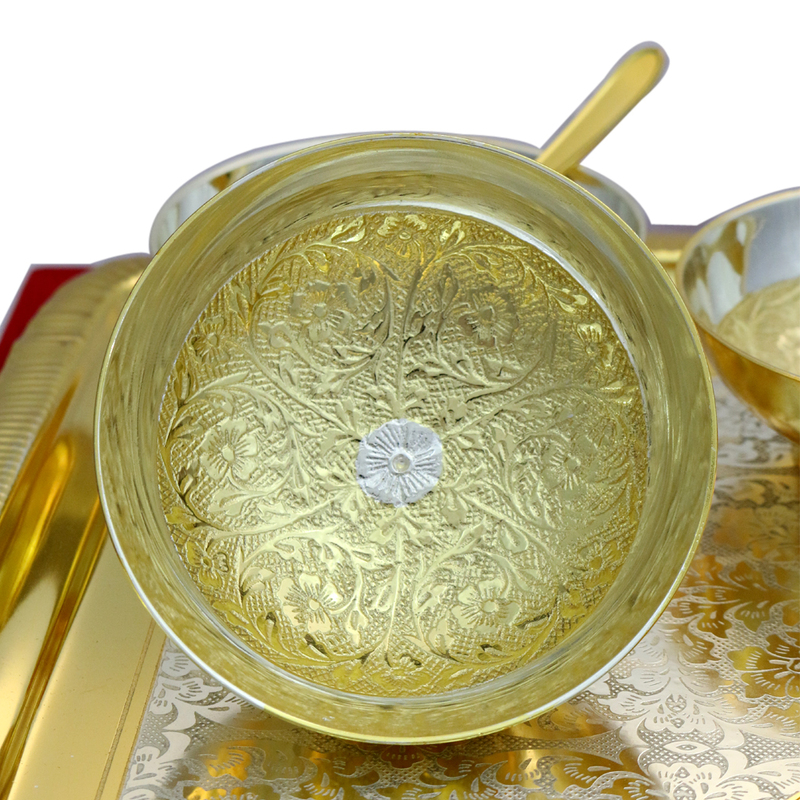 This cutlery is truly meant for buyers with the most discerning of taste. Show Less..